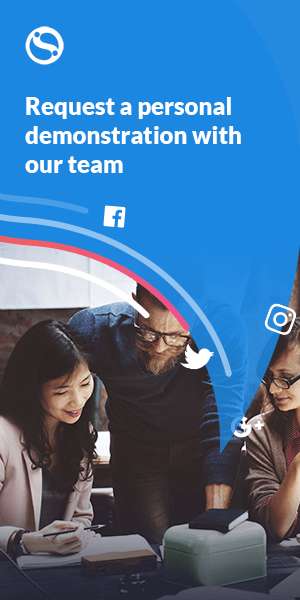 We're excited to announce that we have recently added a few handy new reporting modules to your Sendible account to help you make better sense of your social media. We have released a brand new Twitter reporting module to help you understand who is actually behind those Twitter profiles. The next time you load your Twitter Quick report in Sendible, you'll notice a new module that appears by default, Follower Demographics. We've included a gender breakdown as part of the module. By understanding the male/female audience percentages, you can share more targeted content that better helps to engage your audience. The new report also shows you how influential your followers are by assessing the Klout Scores of your audience. The Klout Score is a number between 1-100 that represents a Twitter user's influence. The more influential someone is, the higher their Klout Score. Influence is the ability to drive action. When someone shares something on social media or in real life and people respond, that’s influence. When you have an audience that's more influential and one of your tweets is retweeted, you're likely to reach a much larger and more influential audience. The new report module also displays a heat map that shows you where most of your followers are located. Use this information to write more targeted, localized tweets that are more likely to drive engagement. Locate one of your Twitter accounts and click Setup. 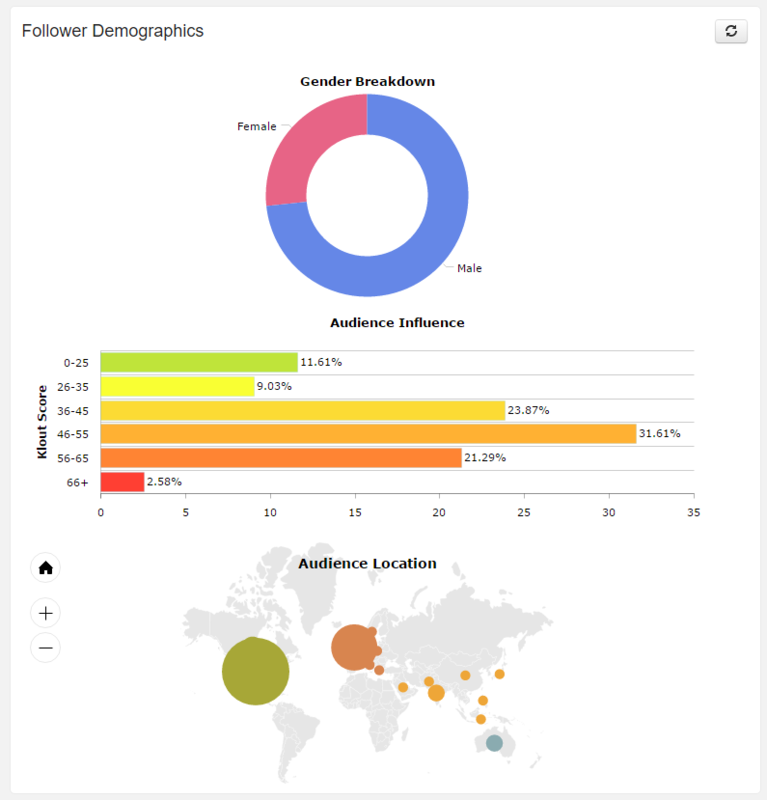 Locate the module, Follower Demographics and click Add. We have recently redesigned the scorecard module to provide a more accurate reflection of how well you are doing on social media overall. The scorecard examines your overall performance across all of your social media accounts to present an aggregate report that shows you how well you're doing. This module is included as standard as part of the Dashboard quick report. Locate the Social Scorecard module and click Add. This shows you how many individual interactions there have been across all of your social media accounts. The types of metrics included in this total are: likes, shares, retweets, comments etc. This metric displays the audience size, taken as a total of all the followers/fans you have across all social media profiles linked to your Sendible account. This shows how many mentions there have been of your social media profiles relative to the previous period. This shows you how many messages have been sent from your Sendible account relative to the previous period. Another new module we've released recently is the ability to report on messages sent by a client/team member. This means you can include a module on your report that displays all posts sent out by a specific team member or client. Next to Messages, click Setup. Next to Sent Messages, click Setup. Select the user whose messages you want to add to the report. We're constantly working to improve the analytics and insights that can be drawn from your social media activities. Be sure to let us know in the comments what you think of these new modules and if there are any other modules you'd like to see!